Design is a communication, plain and simple. It should work for the users. Yet, some designers are misguided in their quest for a clean visual-design strategy. They cut or hide important elements, only to fulfil their own artistic aspirations. Design does not happen in a vacuum. Indeed, a well-thought design will take away all unnecessary distractions in an effort to be more efficient. Overzealous designers, however, have started to completely clean out their designs — even at the cost of navigation and user engagement. 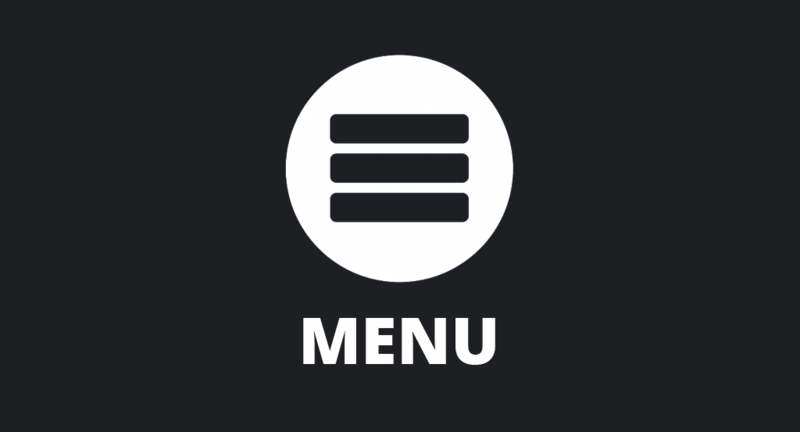 The infamous hamburger menu has been heavily critiqued for hiding away menu items that are important for navigating significant parts of a website or application. What’s out of sight stays out of mind. 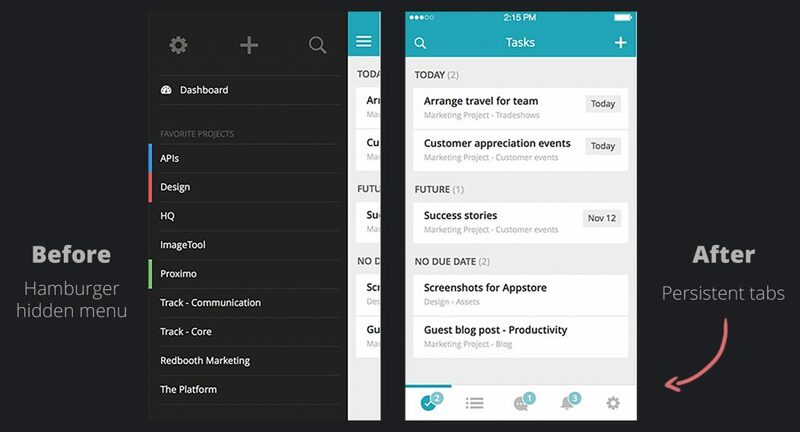 In one case, Redbooth switched from a Hamburger menu to Persistent tabs on the bottom of the screen. The number of sessions doubled, and time spent in the app increased by 70%. Understanding what’s important to be visible on our screens is no small task. It needs to make sense for users and businesses alike. By hiding important elements you increase cognitive load and reduce overall usability. Mobile screen space can be precious. If you’re absolutely sure your application requires menu items to be hidden away, at least don’t use the hamburger icon. While users might be “very familiar with the magnifying glass icon for search”, they are still “unfamiliar with newer icons, including the three-line menu icon and the map-marker icon“. It’s better to use the words [MENU] instead. And if you’re worried about supporting multiple languages, there is a long list of translations in this handy Google Doc. I’ll save you the click: it will fit your design no matter which language.